THE BRITISH RAILWAY STORIES LTD: "The Wolf nears completion"
This has been a long time coming: the home straight for my sole Thompson A2/2 Pacific, Wolf of Badenoch. It's been pushed from pillar to post, been overtaken by a good many other projects (in the same way The Morpeth has - but more on that locomotive later this month!) but now, with the application of transfers, we're finally approaching the finish line. 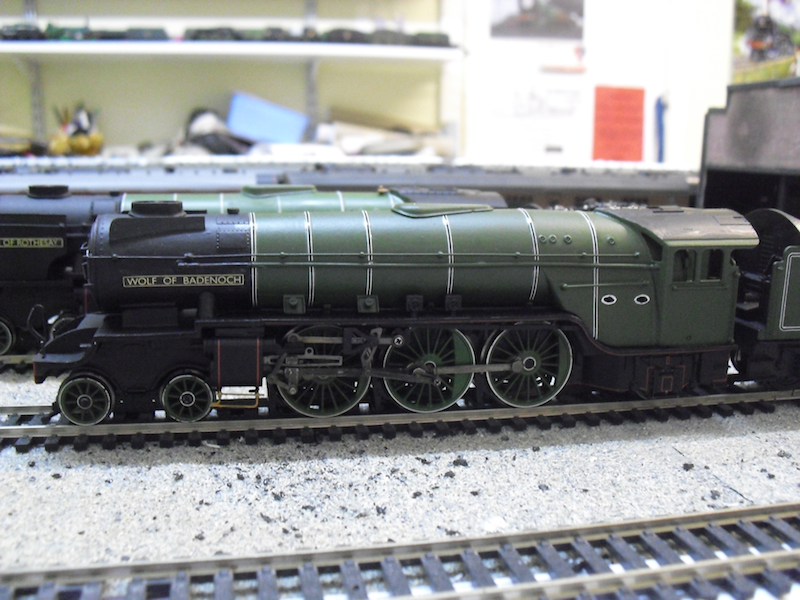 I actually started building Wolf of Badenoch in 2011, albeit originally intended to be no.60503, Lord President. However, when I started the P2 project in mid 2012, a quick change of identity ensured the best possible outcome for the two projects. Sitting a little smugly alongside the Wolf is no.60508, Duke of Rothsey, which was built in a period of just two weeks last November, and overtook 60506 in quite a spectacular fashion. To put this into perspective, 60506 has taken nearly two years to build, using many of the same parts as 60508...! There's still quite a lot to do, but most of the boiler bands are done on both sides, and one set each side of washout plugs has been painted. There's still the lowest washout plug to line out on firebox and cabside (the one on the firebox hasn't been fitted yet, which is why it's missing! 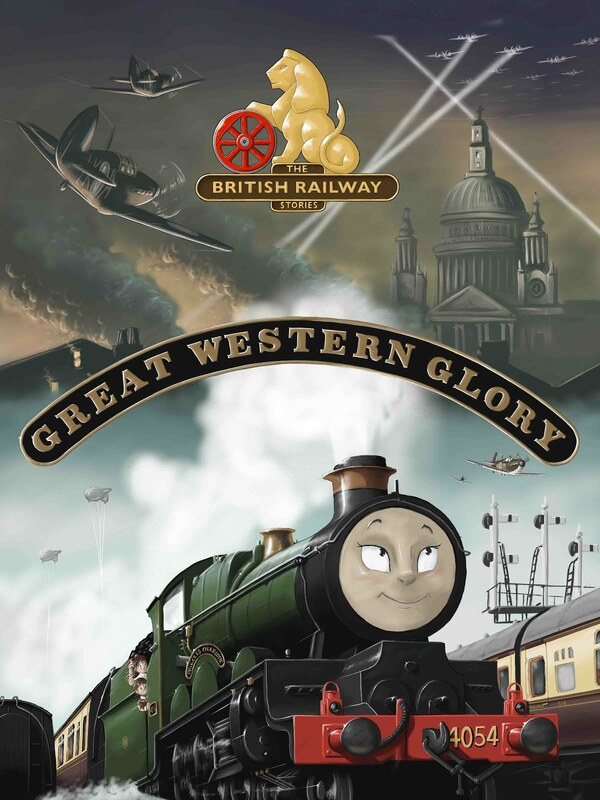 ), along with a lot more black and white lining. 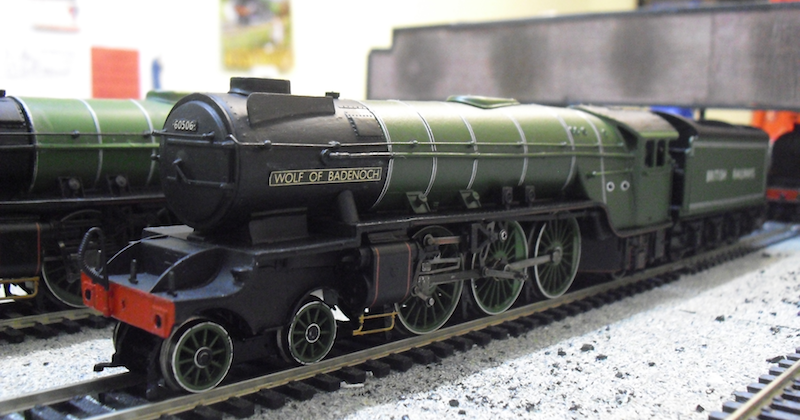 I see now why many LNER modellers go for the BR Dark Green era - it's a lot easier on the eyes to line out these Pacific locomotives! 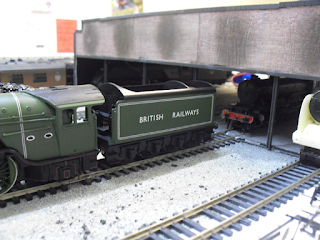 For the record (as one reader has asked nicely) the transfers being used for this conversion, and for any conversion which needs LNER lining out in this vein, are transfers taken from the standard HMRS LNER locomotive sheet. The nameplates and numberplate come from Fox Transfers. So overall, we're pretty much halfway to completion in terms of transfers, very near the finishing straight for the locomotive overhaul. Next time I hope to have applied all of the transfers, sealed it all with Johnson's Klear, added the glazing for 60506's cab, and got to weathering 60506 along with 60508 and 60500 too. Once done, my Thompson 6ft 2in Pacific line up will finally be complete, and ready for action on the future Ganwick Curve layout.